After several delays due to architectural miscalculations, rainy weather and installation schedule conflicts the playground for the new Tecumseh Early Childhood Center is finally ready for students to enjoy. "We ran into delay after delay," said Superintendent Tom Wilsie, "but we are very happy to say that our students can now enjoy this safe space for releasing some energy during daily recesses." "There are very strict guidelines that must be met when installing playground equipment and we had to make sure we were within those guidelines before we could release the students for play. Once we had met the specifics for installation it became a game of dodging the rain and then fitting into the schedule of the playground equipment installation company." 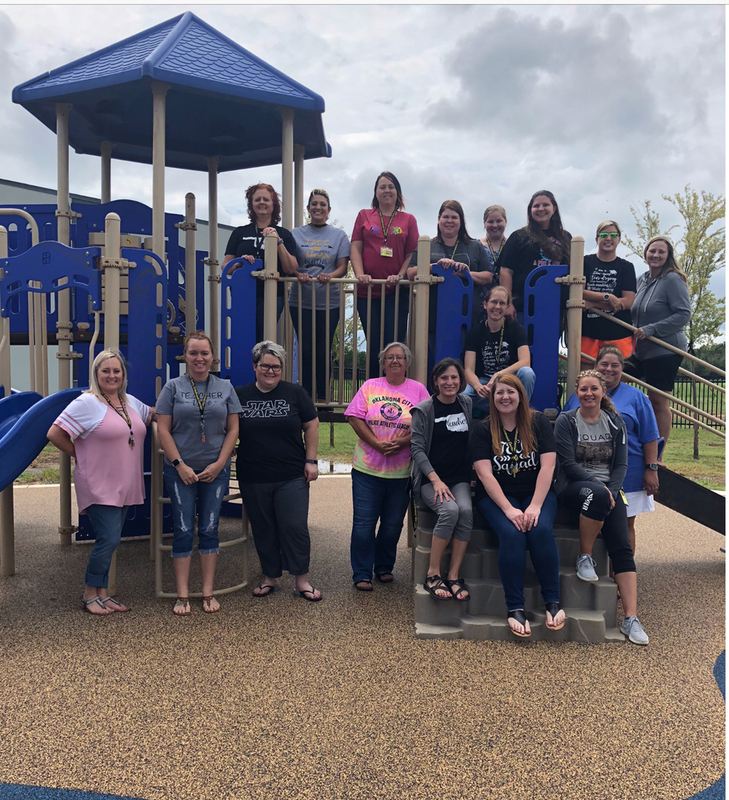 When teachers were told the playground was ready to go they gathered on the equipment after school to explore the opportunities available for students to play and enjoy. Outside activities were limited to the outdoor classroom space the first three weeks of school while most recesses were taken inside the all purpose gym facility. "Kids need to be outside some time during a school day if at all possible so we are relieved this play space is ready to go," said Wilsie. "One again, I cannot stress enough our deep gratitude to the taxpayers of the Tecumseh school district who have made this entire early childhood facility a dream come true for our students."